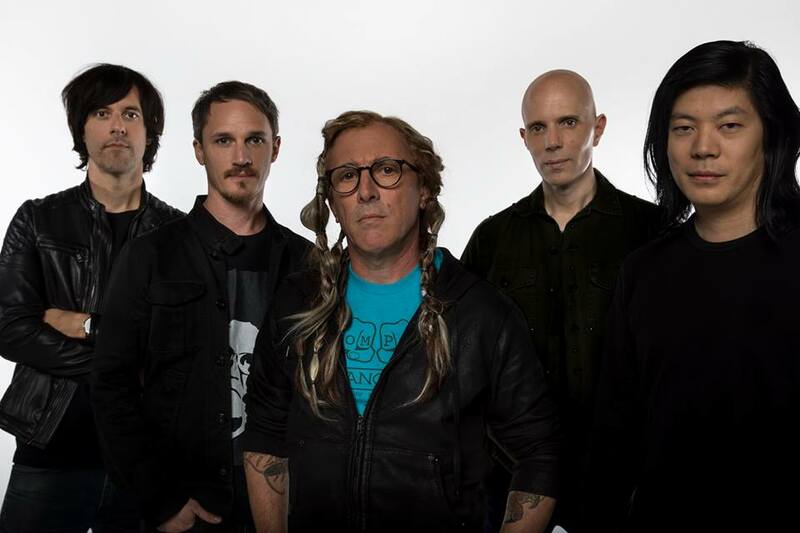 ﻿Published by Sareth Ney on April 25, 2018 at 1:00 p.m.
A Perfect Circle announced their U.S. and European tour dates, for 2018. Maynard James Keenan is the lead vocalist, Billy Howerdel is the lead guitarist, James Iha is the rhythm guitarist and keyboardist, Matt McJunkins is the bassist and Jeff Friedl is the drummer of A Perfect Circle. Howerdel, Iha and McJunkins assist with backup vocals. Discography of A Perfect Circle included: “Mer de Noms”, “Thirteenth Step” and “eMOTIVe”. “aMOTION”, “Three Sixty”, “A Perfect Circle Live: Featuring Stone and Echo” and “Eat The Elephant”. “aMOTION” and “A Perfect Circle Live: Featuring Stone and Echo” featured content on DVD. “Deep Cuts” was their extended play (EP) and was distributed in 2009. Their promotional single was “Counting Bodies Like Sheep to the Rhythm of the War Drums”. The singles they had videos for were: “Judith”, “3 Libras”, “Weak and Powerless”, “The Outsider”, “Blue”, “Counting Bodies Like Sheep to the Rhythm of the War Drums”, “Imagine”, “Passive” and a live version of “By and Down”. One other music video was for the song, “Thinking of You”. All releases were dispersed by Virgin Records, except for “A Perfect Circle Live: Featuring Stone and Echo”. “Mer de Noms” featured 12 songs: “The Hollow”, “Magadalena”, “Rose”, “Judith”, “Orestes”, “3 Libras”, “Sleeping Beauty”, “Thomas”, “Renholdër”, “Thinking of You”, “Breña” and “Over”. “Thirteenth Step” consisted of: “The Package”, “Weak and Powerless”, “The Noose”, “Blue”, “Vanishing”, “A Stranger”, “The Outsider”, “Crimes”, a cover of Failure’s “The Nurse Who Loved Me”, “Pet”, “Lullaby” and “Gravity”. ​“eMOTIVe” contained two original tracks and 10 covers: Crucifix’s “Annihilation”, John Lennon’s “Imagine”, Nick Lowe’s “(What’s So Funny ‘Bout) Peace, Love, and Understanding”, Marvin Gaye’s “What’s Going On”, “Passive”, Black Flag’s “Gimmie Gimmie Gimmie”, Depeche Mode’s “People Are People”, “Devo’s “Freedom of Choice”, Fear’s “Let’s Have a War”, “Counting Bodies Like Sheep to the Rhythm of the War Drums”, Memphis Minnie and Kansas Joe McCoy’s “When the Levee Breaks” and Joni Mitchell’s ‘Fiddle and the Drum”. “Eat The Elephant” was A Perfect Circle’s lastest offering. Tracks included: “Eat The Elephant”, “Disillusioned”, “The Contrarian”, “The Doomed”, “So Long, And Thanks For All The Fish”, “TalkTalk”, “By And Down The River”, “Delicious”, “DLB”, “Hourglass”, “Feathers” and “Get The Lead Out”. Tickets to attend the concerts in Europe are available to purchase on April 25 at 10 a.m. local time. For the U.S. dates, vouchers will be available to purchase at 10 a.m. local time on April 27. Oct. 22 – Red Rock Amphitheater, Morrison, Colo.
Oct. 30 – CFE Arena, Orlando, Fla.
Nov. 1 – Bojangles’ Coliseum, Charlotte, N.C.
Nov. 2 – Bridgestone Arena, Nashville, Tenn.
Nov. 17 – The Theatre at Honda Center, Anaheim, Calif.